If you’ve been online long, you’re sure to have seen many “gurus” give their ideas about branding. However, much of what you read simply isn’t true. Over the years, many myths about branding have taken hold in the online world and spread like wildfire. The fact is: They are doing you more harm than good. 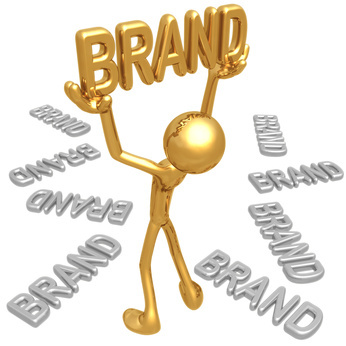 Branding is not one aspect of your marketing campaign. It is the combination of everything your business stands for. Branding is not created with a single, stand-alone event — rather it is created over time through a series of strategically thought-out actions. Let’s take a few minutes to shatter a few common myths about branding and to introduce constructive, proactive branding principles that you can build on. Absolutely not. While your USP (Unique Selling Position) might be used to help convey your brand, it is not – in and of itself – your complete branding strategy. Branding Principle #1 – Your Brand Is All Encompassing. Also not true. Look at companies like Marlboro (cigarettes), Puffs (tissue), and Ziploc (plastic bags). They simply use a specialized font with the product name. No swirls, no images, no “logo.” While logos certainly are not “bad,” they are also not mandatory. Branding Principle #2 – Customers Remember You Primarily By How They Are Treated. The most innovative logo, the most attractive colors, and the world’s best logo designer will do you no good if you don’t offer excellent service. Customers remember you and your company by the way they are treated. Was their shopping experience good? Were all their questions answered? Were their problems solved to their satisfaction? These things go way further to help customers remember you than any logo could ever hope to. Decide how you want to be perceived by your customers. Do you want to portray an image of trust? Loyalty? Dependability? Innovation? Wide selection? Speedy service & delivery? What makes YOU perceive other companies that way when you shop? Is it their selection? Customer service? Pricing? All of the above? Make a list of the qualities you and your employees must display to customers in order to portray your desired brand. Share the list with everyone in your organization and ask them to develop specific ways they can support the brand. Compile a final branding strategy and share it with everyone in your organization. Would you rather base your brand on sound principles or myths? That’s what I thought!